A sampling of tacos from El Taco Luchador on Baxter Avenue. It was an assignment not for the weak of stomach: write about the burgeoning Louisville taco scene. The components of a taco sound simple enough—a tortilla, some meat, a few veggies, a sauce, and a wedge of lime on the side. But the best tacos in the city are thoughtfully crafted by chefs willing to explore flavor combinations that call on tradition yet seem refreshing and new. The tortilla should be soft, warm, made of corn and sturdy. The meat is best when it’s marinated and slow cooked, as evidenced by tender strips that fall apart as you chew your way through. The veggies should be crisp and handled with a light hand to not overwhelm aforementioned tortilla. And the sauce can make or break this little handheld dish—too much, and it’s sloppy and overbearing, too little, and the dish is dry. And don’t forget to squeeze that lime, for it adds a final citrusy pop to make the tastes come alive. Read the rest of the article here. Gluttony jokes aside, I had a fun time writing this one. 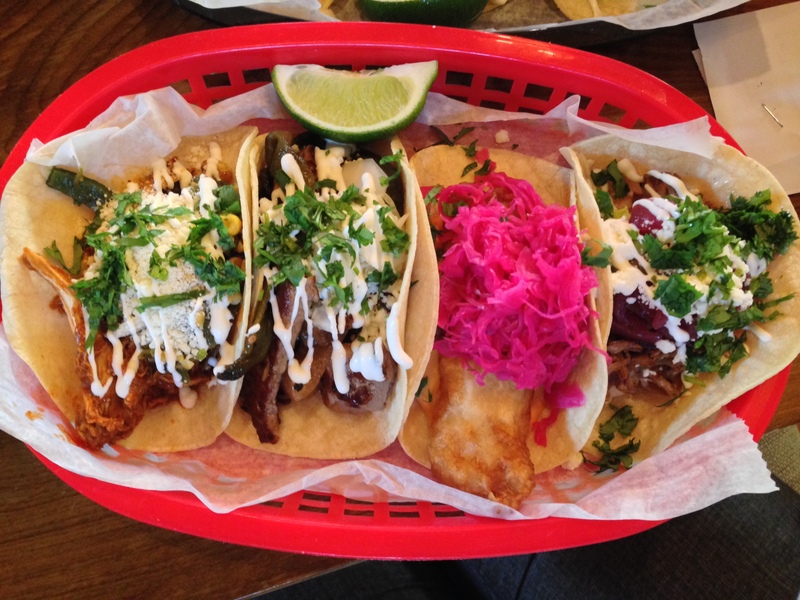 Louisville has turned into a great place for tacos. Where do you go when you need a taco fix? How did I know you would say that, Shawntaye?